Offers the best car ramps and trailer ramps that are light weight, low profile, and ideal for low clearance vehicles. Remove the slope section when you drive up - easier to store. 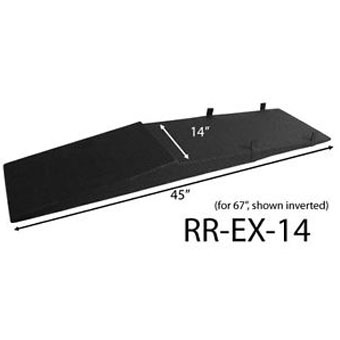 Xtenders EX-14 are used to extend the angle of 67 Inch Car Service Ramps. Great for super low sports cars. 8" inch Wheel cribs can be used with many other car ramps. Service your car or display her in the show! 8 inch lift height. Tire flat spots are a thing of the past with Flatstoppers. Store your vehicle long term and never get bounced around on tire flat spots again! Use with other ramps, or as a small ramp by itself. Great for those small sport cars with a little bit more clearance. 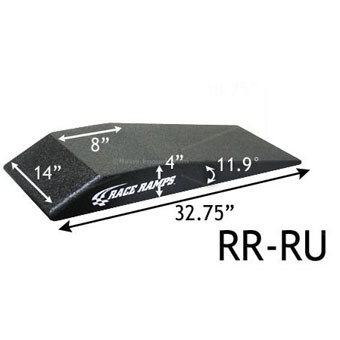 Great for big tires and more height - same angle as 56" Car Service Ramps.